UC's Sharon Stocker stands in the shaft tomb of a wealthy, Bronze Age warrior buried alone in about 1500 BC. His intact tomb, discovered by a UC-led international team, contained one of the most magnificent displays of prehistoric riches discovered in mainland Greece in the past 65 years. 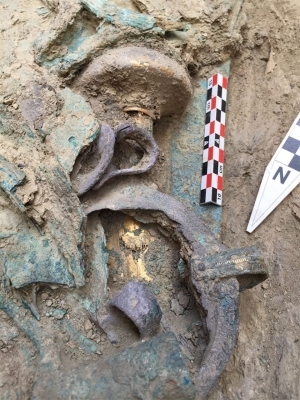 An international team of archaeologists led by University of Cincinnati researchers recently discovered a Bronze Age warrior’s tomb in southwestern Greece filled with more than 1,400 objects: jewels, weapons and armor, as well as bronze, silver and gold vessels. The unusual find is celebrated in today’s New York Times. UC's Sharon Stocker, left, and Jack Davis, right, have worked in the Pylos region of Greece for 25 years. 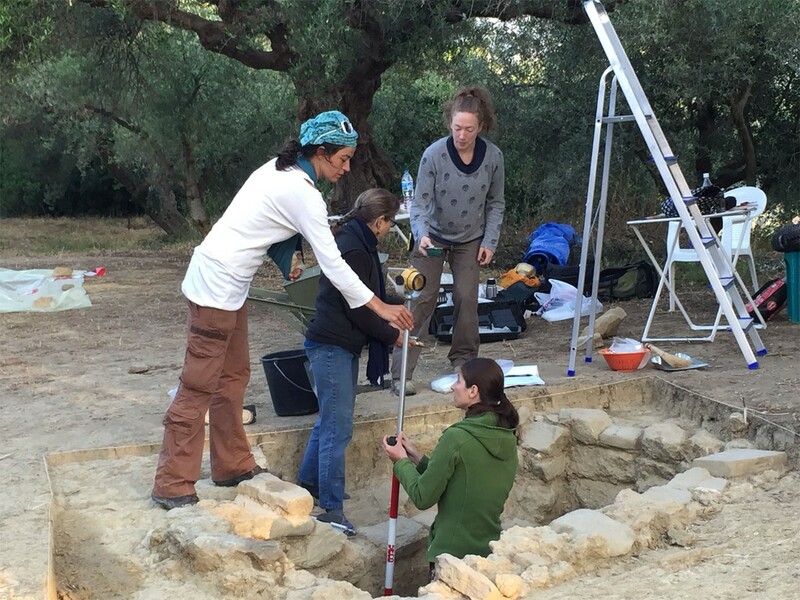 They led a team of 45 archaeologists and experts in various specialties as well as students during this summer's excavations. Stocker stands in the shaft tomb the team uncovered. 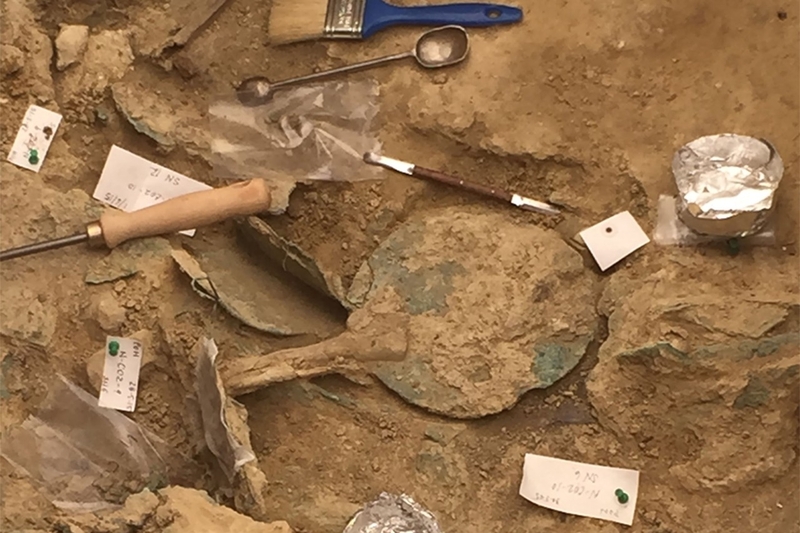 Instead, the team made a rich and rare discovery of an intact, Bronze Age warrior’s tomb dating back to about 1500 B.C., and that discovery is featured in The New York Times, in an article titled: A Warrior's Grave at Pylos, Greece, Could Be a Gateway to Civilizations. This gold ring with a Cretan bull-jumping scene was one of four solid-gold rings found in the tomb. This number is more than found with any other single burial elsewhere in Greece. UC's Sharon Stocker with the 3,500 year-old skull found in the warrior's tomb. One of six ivory combs found within the warrior's tomb. This unique necklace measures more than 30-inches long and features two gold pendants decorated with ivy leaves. It was found near the neck of the warrior's skeleton. Find out more about UC's top-ranked Classics program. Explore UC programs on the undergraduate or graduate level.